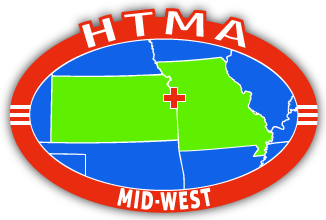 This organization shall be known as the Healthcare Technology Management Association of the Mid-West, which may be referred to by the acronym HTMA-MW. Provide a forum for students and professionals involved in fields closely related to healthcare technology management to exchange experiences, information, and ideas to help improve the quality of patient care and further advancement of healthcare technology management. Communicate new instruments, techniques, standards, government regulations, and areas of mutual concern. Including establishing information centers for technical and service literature and manuals. Support the continuing education of its members and acquisition of points required to maintain AAMI certifications. Promote AAMI Certification of its membership and local service training by manufacturers of medical instruments while encouraging others to enter fields involved with healthcare technology management. To promote philanthropic activities of both members and as an association related to healthcare technology management both locally and abroad. Individual Members - Includes anyone interested in healthcare technology management. Student Members – Include anyone that is a full- or part-time student either in college or military training with interests in healthcare technology management. Student members shall enjoy the same privileges as any other member. Military Members – Include any active duty and reservist in any branch of the military past or present. Military members shall enjoy the same privileges as any other member. Institutional Members - Include healthcare institutions that wish to provide membership for its professionals whom would otherwise qualify as Individual, Student, or Associate Members. Members under an institutional bundle must be directly employed by the Institution. The number of Institutional members will be managed by the institution’s bundle administrator and the Membership Secretary. Institutional members shall enjoy the same privileges as any other member. Corporate Members - Include those companies or business organizations which manufacture, sell, service, or otherwise support healthcare technology management. Members under a corporate bundle must be directly employed by the company or business. The number of Corporate members will be managed by the Corporation’s bundle administrator and the Membership Secretary. Corporate members shall enjoy the same privileges as any other member. Honorary Members – Include those individuals designated by the board for outstanding lifetime service. Honorary members shall pay no annual dues. Honorary members shall enjoy the same privileges as any other member. Membership applications and payments can be made at www.htma-mw.org or by written form obtained by the Membership Secretary along with cash or check. Full membership dues are to be paid at time of registration. Only paid members shall be considered in good standing. Membership requires a valid email address. Dues will be up for renewal one year after initial payment and will continue on that annual date for future years. Membership meetings will be held with a 30 day notice. Special Meetings and Board Meetings will be held with a 7 day notice. Meetings will follow Robert’s Rules of Order, Latest Edition. Only Members in good standing may vote. Each approved voting member is entitled to one (1) vote, which may be cast in person, by written proxy or by email to president@htma-mw.org. Passage of voting issues will be by simple majority of those present, unless otherwise indicated in these bylaws or by a majority of the board of directors. Issues may be voted upon using a member’s provided email for validation. When necessary a quorum shall consist of 15% of the good standing membership. The Association will be governed by the Board of Directors, consisting of up to nine (9) voting members in good standing, nominated and elected by secret ballot. A nomination must be accepted by the nominee in order to be included on the ballot. The affairs, business, property and concerns of this Association will be vested in the Board of Directors for the benefit of the Association. The Board of Directors may consist of only one (1) member from a Corporate bundle with as many Corporate bundles being represented as a result of the nomination and election process. The Nominating Committee will submit a slate of nominees for the Board of Directors at the regularly scheduled general membership meeting each year. The Membership Secretary will have a list of all these nominees drawn in ballot form and distributed to all members qualified to vote. Nominations from the floor shall be accepted. At the December elections meeting of the Membership, nominations will be received from the membership for the purpose of electing the Board of Directors. Nominations may be made from the floor or by email to president@htma-mw.org. Nominations must be accepted by nominees either in person at the meeting or by email prior to the meeting. At the meeting, an election by secret ballot of membership shall be held to choose the Board of Directors. There shall be no absentee or proxy ballots. The nine (9) nominees receiving the greatest number of votes will become Directors. In case of ties, similar run-off election procedures will follow until nine (9) Directors have been selected. The treasurer shall serve a consecutive two (2) year term. Once elected by the Board of Directors the treasurer will be automatically elected to the Board of Directors for the following year causing eight (8) members to be elected in that year. New treasurers will be elected by the current Board of Directors at the beginning of a new treasurer term or as defined in Section 10 through 11 of this Article. A Director may resign from the Board of Directors at any given time by giving notice in writing to the Board, which will act on it no later than the next meeting following its receipt. The resignation will not affect that member's standing in the Association. No member of the Board of Directors or member of committees, whether Executive, Ordinary or Standing will receive any salary or compensation for services rendered to the HTMA-MW unless previously contracted for by action of the Board of Directors; such action requiring a three fourths (3/4) vote of the Board members present at a Board meeting and ratified at the next general membership meeting by a majority of those voting members present. Should a member of the Board of Directors be absent from three (3) consecutive meetings (in person or via conference call) of the Board without sending a communication to the President, Vice President or Recording Secretary stating the reasons for absence, or if the communication be sent and found unacceptable by the Board, that Director's seat may be declared vacant by the Board of Directors. The Board of Directors may proceed to fill the vacancy by Special Appointment (see article 11). The member so deposed will not lose membership in HTMA-MW and may use the right of appeal. Should an individual or organization be contracted to provide any of the normal duties of the Directors, those Directors will remain responsible for the execution of those duties by the contracted individual or organization. In the event of such contracted arrangement, the President will be the principle liaison between the HTMA-MW and the contractor. Election of Officers The Board of Directors shall elect the Officers of HTMA-MW from within their ranks by majority vote. Term of Officers President, Vice President, Recording Secretary, and Membership Secretary shall serve a 1 year term of office. Treasurer shall serve a 2 year term. The President - Shall act as Chairman at the meetings, the Board of Directors, and the membership; shall be Chief Executive Officer of the HTMA-MW and Ex-Officio Member of all committees with the right to vote; shall preside at all regular and special meetings; may call special meetings of the Membership, Board of Directors and Committees; Shall perform such other duties as are necessary and incidental to that office, including appointing of committee chairman, and members of HTMA-MW to represent the Association to the public. The Vice President - Shall be deputy to the President and perform the duties of the President whenever the President is absent or if the President is unable to act; shall assume the Office of the President for the balance of the term if it should be vacated; shall be Ex-Officio Member of all Committees; Shall act as Chairman of the Education Committee. Recording Secretary - Shall record and read the minutes of all regular and special meetings of HTMA-MW, its Board of Directors; shall be responsible for notifying all members that these special meetings are to be held, and upon due notice given by said Secretary shall be responsible for all correspondence and official notification of the Association; shall carry into execution all orders, votes and resolutions of the Association when so directed; shall with the President prepare the agenda for all regular and special meetings of the Membership or the Board of Directors; shall be keeper of the Seal of the Association and any pertinent document pursuant to the association. The Treasurer - Shall act as Chairman of the Finance Committee. There shall be an audit of the financial books of the Association at least once a year as of December 31st; and a special audit may be made whenever so ordered by the Board of Directors. This audit may be conducted by the Finance Committee, Certified Public Accountant, or as otherwise directed by the Board. Funds, with the exception of Petty Cash, may be drawn only over the signature of the Treasurer when co-signed by one other Officer of the Association. Membership Secretary - Shall keep an updated list of the members using the website of the Association or some other accessible electronic role; shall at the direction of the President; collect fees, dues, and other accounts receivable or other monies, and transfer them to the Treasurer; and shall do all other things necessary and incumbent, on the Office of Membership Secretary. The Program/Education Committee - The Program Committee shall consist of members in good standing interested in planning special programs to be held at regular and special meetings. All programs are to be reviewed and approved by the Board of Directors. The Chairperson will be the Vice-President of the Board of Directors unless otherwise appointed by the Vice-President. Its members will be considered and elected at the Annual Election Meeting. The Promotion/Event Committee - The Promotion Committee shall consist of members in good standing interested in planning and implementing promotional activities on behalf of HTMA-MW, both internal and external to the organization. All promotions are to be reviewed and approved by the Board of Directors. The committee shall be chaired by one (1) member of the Board of Directors to be appointed by the Board of Directors. The Finance Committee - The Finance Committee shall consist of members in good standing and shall be chaired by the Treasurer. This committee is responsible for providing an annual budget and dues proposal for the fiscal year. Its members will be considered and elected at the Annual Election Meeting. This committee will also be responsible for sending renewal notices out in a timely manner for members to maintain a good standing membership. Nominating Committee - members of the committee shall be nominated by the membership at large. The Board of Directors will appoint the committee from this list of nominees. The committee will be chaired by the Membership Secretary. Other Committees - may be established by the Board of Directors. Committee Memberships: committee membership is open to any member in good standing. If a committee has more than five (5) members, the committee chairperson may remove from the committee roster any committee member for reasons of inactivity. Inactivity is demonstrated by failure to attend two (2) meetings in a row, or by failure to carry out reasonable assignments given by the committee chairperson. If a committee has more than twelve (12) members, the committee chairperson may restrict new membership. Any person removed from a committee is not eligible for re-appointment for a six-month period.